Although Maggie has selected the top three entries, we want you to nominate your favorite essays for the People’s Choice award. The recipient of the award will win a package of crochet books and yarn totaling over $100. To vote, click on the blog article. At the bottom of the article you will see a “Facebook like” button. The entry with the most likes by February 14th, 2012 wins. NOTE: You must have a Facebook account to participate. You can vote for as many essays as you want, but the top three entries do not qualify for this portion of the contest. When I was 15 I was diagnosis with Crohn’s that was 47yrs ago. They told my parents I would not live passed the age of 21, but having great parents that didn’t listen to doctors they flew me to mayo clinic and now I’m 60. This is why I learn to knit, crochet, jewelry making, any craft you could want to do my mom taught me because they didn’t even want me to go to school back then they knew nothing about it. Me and my mom would sit for hours and do our crafts. She died last year on CHRISTMAS, but we would or I would, she knew nothing about computer, get most of our patterns from MAGGIE’S CROCHET. We started with all the beautiful dishcloths I couldn’t believe there could be so many beautiful patterns for dishcloths of all things. She was such a giving person she taught me it was better to give than receive. So about 4 months before CHRISTMAS we would start making MAGGIE’S AFGHANS so beautiful and we would give them to the poor. I think I miss that the most, MAGGIE’S CROCHET gave us so many free patterns there are none like it anywhere on the internet and believe me I have been to about all of them but I keep coming back to MAGGIE’S. Now being disabled I don’t have a lot of money to do the things me and my mom used to do together. I have to tell you this story, it’s about my dad, he would say what did MAGGIE say today? He always would look over my shoulder and see what I was looking at. But this is the story I have to tell about my dad. We got a phone call, it was for my mom and he said yes she is here putting it in and pulling it out. I don’t think my dad realized what he had said we did laugh so hard I think I peed my pants. The yarns on there are so beautiful I love the new ones so much. I love the Starbella Flash this is a new yarn that I just recently came across. I love the way you pull it open and it’s totally not what you would expect it to be, but all the Starbella yarns are great for me now. Since it’s new I haven’t been able to do it yet, but if you look on maggiescrochet.com you will see what I mean. Since my moms death she would provide the materials and we would spend hours to do one craft or another. My mom was also very good at making her own patterns. I wish I had gotten them, but I have four brothers that hate me because of all the time my parents put in me. My parents and I didn’t think I would outlive them, but with GOD all things are possible that is why I’m still alive. I grew up in a CHRISTIAN HOME. 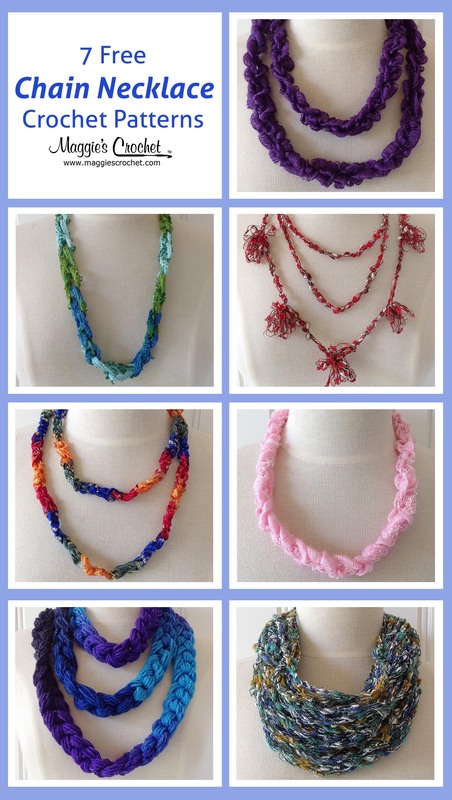 There are so many patterns on maggiescrochet.com it’s really hard to pick my favorite I have so many. If you go there you will see what I mean! I’m looking at CHRISTMAS at this time of year. THIS WAS ME AND MY MOMS SPEICIAL TIME. I hope you read all of this. The doorstopper for CHRISTMAS it’s so cute the little claus and the mama claus it’s not that hard to make. I have to admit I love the vintage ones the best. maggiescrochet.com also has alot of books full of patterns anything you are looking for you will find it here. THANKS FOR GIVING ME THE OPPORTUNITY TO TELL MY STORY ABOUT MAGGIE’S CROCHET. I THINK THE WAY MY MOM WOULD WANT TO ME TO DO: IF YOU LOVE SOMETHING LET EVERYONE KNOW. 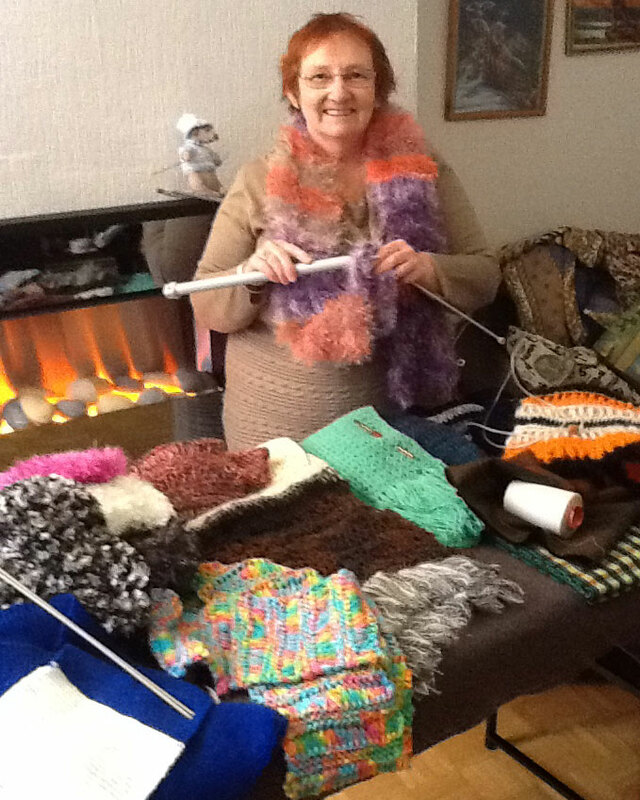 Sew, Knit, and Crochet Scarves to Support the Children’s Hospice Association in Scotland.